So this is a first attempt at providing our audience with my reading list. I will provide a short synopsis of my learnings and takeaways. 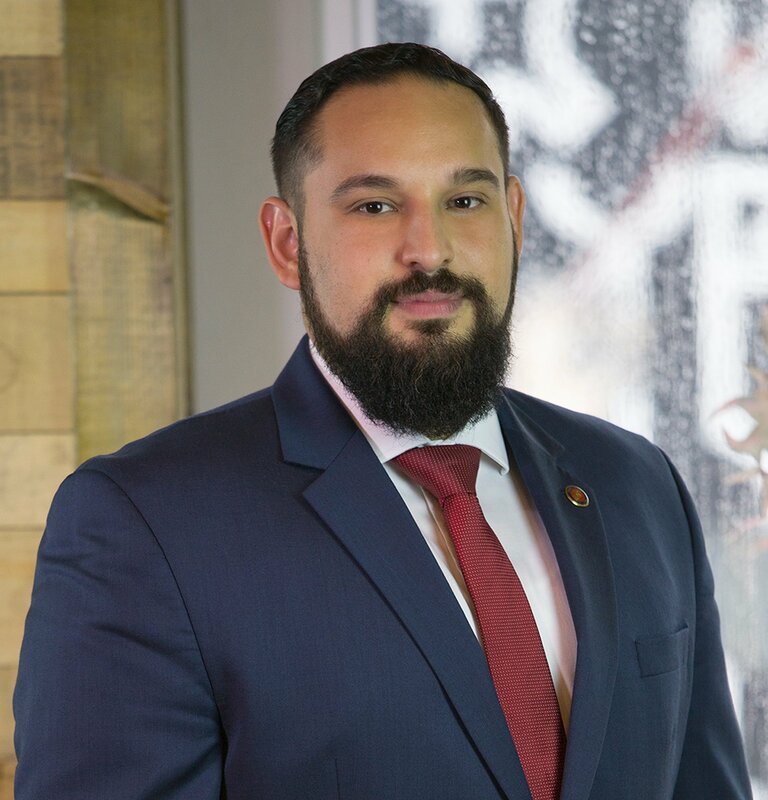 My objective is to provide you with actionable information to improve business and life. Funny, in the business sense. It's funny without being abrasive. 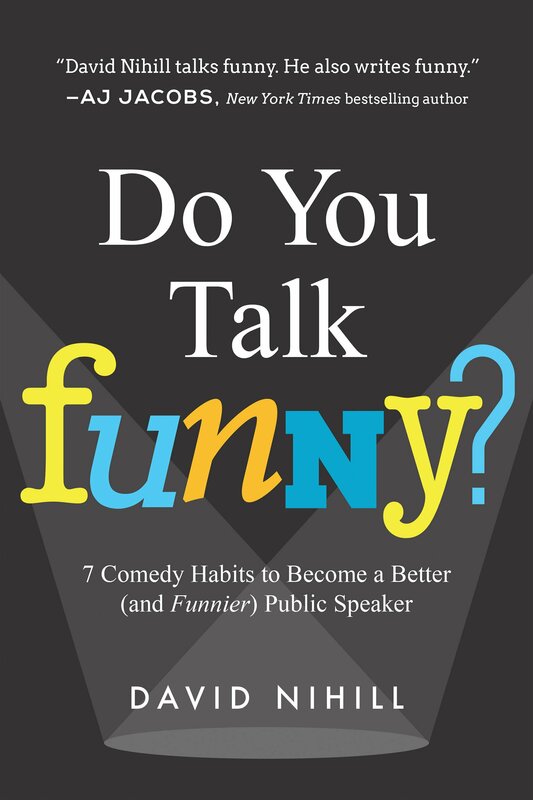 It provides the reader with guidelines on how to develop your jokes to be presented in a business setting. The guidelines teach you to use your own personal stories as a way to create funny moments and get crowds to like you in the quickest manner possible. The book is accompanied by a handy workbook that you can use to build on your past experiences and format them to present in your jokes. The biggest takeaway for me was that you can take any event in your life and see the lighter funnier side of it, then present in a way that allows you to connect quickly with your audience. The better the connection the more effective your public speaking will be. Very enlightening into my own view of myself and how I came to be the man I am today. 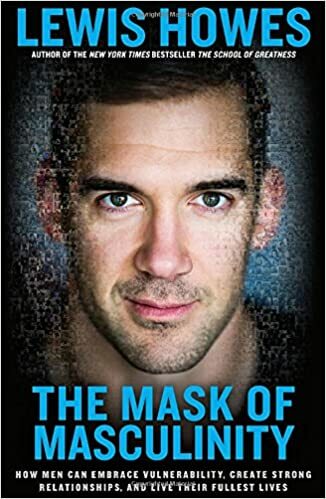 It helped me understand more about how I present myself to the world and really made me think of the different points in my life that I have worn the masks and the times where I have feared to take them off. I think it's a great book for both men and women and I feel it has helped my relationship with my wife. At the conclusion of the book, we see the authors own journey towards being a more approachable human being who is in service of others and contributes to his community. 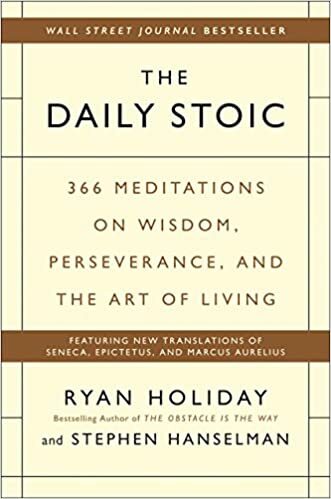 The daily stoic is a devotional style book where each day includes a lesson, typically tied to the three parts of the self: Will, Action, and Perception and the three disciplines for action: Study, Practice, and Train. So far every lesson has been applicable to the day. It may be that it is influencing me or that it is really useful information that smart dudes came up with thousands of year ago... I do not know yet. I'll let you know when I finish the book next year. Being a student of chess and the philosophies that encapsulate the game, I was drawn to this book. Life, much like chess is filled with instances where your path will be challenged. The author provides several examples where individuals and teams use impediments to grow and become better. “The impediment to action advances action. What stands in the way becomes the way”. “Overcoming obstacles is a discipline of three critical steps. 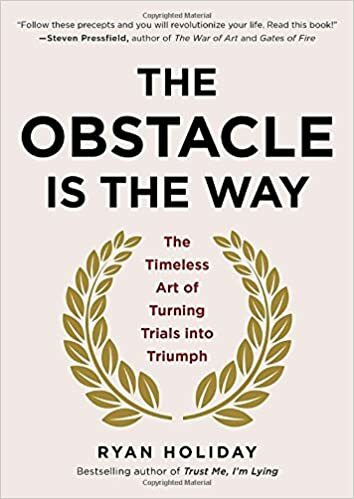 It begins with how we look at our specific problems, our attitude or approach; then the energy and creativity with which we actively break them down and turn them into opportunities; finally, the cultivation and maintenance of an inner will that allows us to handle defeat and difficulty”. “There are a few things to keep in mind when faced with a seemingly insurmountable obstacle. We must try: to be objective, to control emotions, and keep an even keel. To choose to see the good in a situation. To steady our nerves. To ignore what disturbs or limits others. To place things in perspective. To revert to the present moment. To focus on what can be controlled”. “There is no good or bad without us, there is only perception. There is the event itself and the story we tell ourselves about what it means”. “Perspective has two definitions. Context: a sense of the larger picture of the world, not just what is immediately in front of us. Framing: an individual’s unique way of looking at the world, a way that interprets its events. Stay tuned next month as the reading list will continue to grow.